Our blood pressure is rising as the first of us are beginning to have serious job interviews, and the rest of us watch with envy as they come and go from the lecture hall. I'm beginning to get nervous about making rent. This is the infamous anxiety of Our Twenties: feeling too inadequate to make a decent salary (if any at all!) and too broke to live. Yesterday I doted on my bank account all day because I'd bought a tube of toothpaste. Given, I splurged for the CondeNast party. After the frantic transportation mess in Pittsfield on Sunday night, I arrived back in the city only forty minutes before Columbia students were scheduled to meet the editors of all CondeNast publications (read: Vogue, Vanity Fair, Glamour, GQ, W, and so on). I hate to sound shallow, but I like to research before entering foreign environments, and I spent two weeks researching back issues of Vogue and scouring the website before the affair. I selected a vintage runway dress I'd scored in Delaware, Ohio, from our beloved Captain Betty. I wasn't confident in the Asian-inspired ties in the front of the dress, but the color scheme was right, it was flattering, and it screamed summer. Of course, Columbia is up in Harlem and I was in Port Authority. Those two weeks of research do nothing when you haven't got time to get changed. Realizing I might be near my destination, I called six friends from the publishing course and obtained the address for the party. Then I sprinted out of the bus station wearing jeans I'd now worn twice in a row (I'm not much of a jeans wearer, but public transportation requires comfort) carrying an overnight bag on my shoulder and running around in Croc flats. Not exactly the outfit for Anna Wintour's taste. Within five blocks, I found an Ann Taylor Loft, snatched up two dresses and bought the (cheaper) one that matched the handbag I'd brought to Massachusetts. 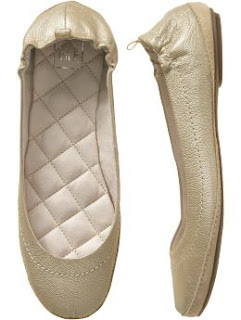 The woman who helped me told me in a low voice that I should look for shoes across the street - I couldn't find that store, but I found a Gap that sold precisely two colors of shoes in one style, and the gold ones worked. I befriended the saleswoman behind the counter and managed to talk my way into a dressing room - even the dressing room woman helped me snap the tags off. I threw a brush through my hair and sprinted another block and a half to a Sephora. There I tried three gold eyeshadows before finding one that was subtle enough to look professional, but would match the embellishments in the dress. I took a swab of lip color, applied it, and wrapped the rest in a tissue for touch-ups during the event. I grabbed the latest designer perfume from the shelf and spritzed it on. I walked two blocks to the CondeNast headquarters and made it there precisely on time. ...I thought. The doorman kindly informed me the party didn't start for another hour. I had a cup of tea at a counter in one of those Midtown pizza places that really wouldn't succeed if they didn't feed tourists. The men behind the counter had Brooklyn manners, so I liked it enough to settle down and take a breath. I returned to the party - where I was the first to arrive - and checked my bag so I didn't look like a nomad. Fashion is, after all, trying to capture the look of the minute. In this, I suppose, I succeeded.